Spa Design with an EDGE! The flagship Collection that sets Coast Spas® apart from everyone in the industry, the Infinity Collection offers zero water displacement from a crowded spa and offers more seating space by removing weir skimmers. Enjoy your view to the fullest with this Collection’s Infinity Edge. 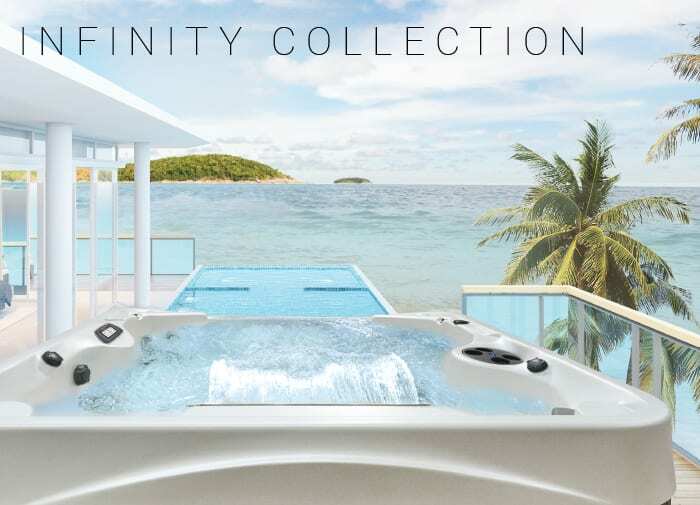 The Infinity Collection comes with its own exclusive series so you can choose a spa that best suits your lifestyle. All VE Series Spas come with the Patented Infinity Edge Technology, Raised Curved Back, Exclusive 24” Waterfall and Self-Cleaning Sweeper Jet. 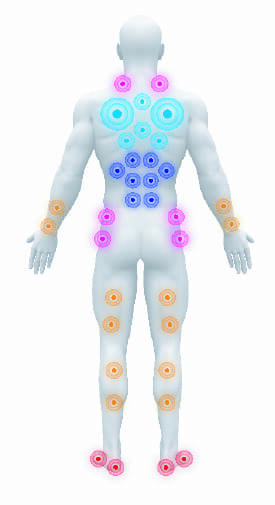 Designed with intuitive touch screen controls that allow for a variety of massage jet settings engineered to provide therapeutic relief. Hydrotherapy pumps can push up to 270 gallons per minute while operating on as little as 1.2 amps per filtration cycle. This efficiently lowers your operating costs. Additionally, the 24″ chrome waterfall provides a perfect sheet of warm water that outperforms what any neck or back jet can do. The unique raised back design of the cascade spa makes it all it’s own. It not only allows a space for the 24″ waterfall display but the flowing water gives an experience of ultimate peace and relaxation. The raised back also provides more privacy from neighbors and creates shelter from the wind. Cascade spas are equipped with Hydro Cyclonic Pressurized Filtration. This allows the filtration system to be located in a separate pressurized compartment as opposed to other hot tubs where the system would be located in the same water you sit in. We keep our standards high and this allows our hot tubs to fall in line with health regulator standards for commercial grade pools. Powerful blades have also been installed at the bottom of the filter canister to spin the water. Creating a cyclone that will ensure that the whole length of the filter is being utilized. 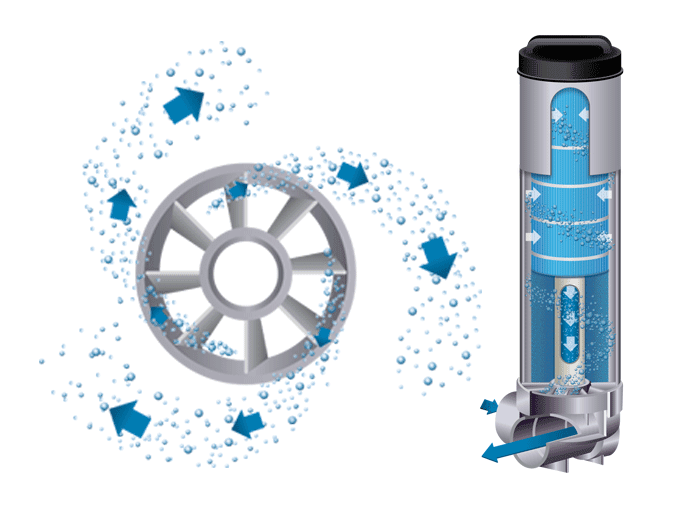 Simply put the Hydro Cyclonic Filtration System is the best option for your hot tub or spa. The Cascade spa offers so many benefits both in quality and design. We are confident in saying that it would create a space for relaxation and enjoyment to anyone’s outdoor space. Visit our new showroom just off Redwood Road in Herriman and see for yourself.